When I plug my Mac into a DisplayPort monitor that has loudspeakers, the Mac's volume controls become disabled. Is Apple assuming that if I have external speakers I am so much better using their own volume control that I have to be forced to do it? That is annoying because the monitor's volume controls are buried in terrible menus accessed by terrible buttons on the back of the monitor. 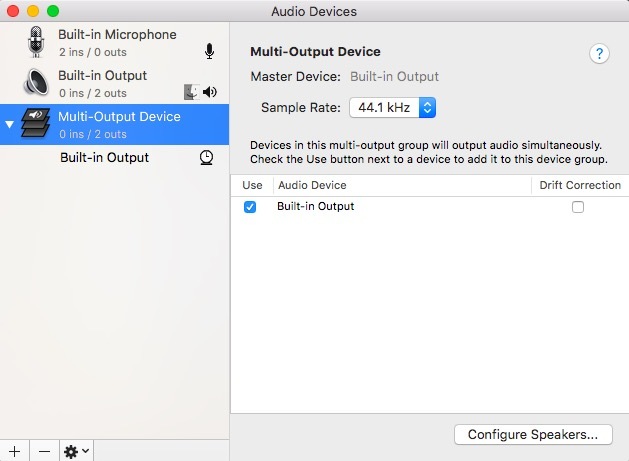 Also, if I am inside an app where I can select the audio device and I select the Mac's internal speakers, the volume controls are STILL disabled. Is there no way to control the volume of an app when an external speaker is connected even if the app is not using the external speaker????? Some additional info: It's a Macbook Pro 13" 2018 version. Using a Thunderbolt to Displayport cable, plugging in to a Dell monitor with speakers. In another location I use the same cable to plug in to Dell monitors with Displayport but without built in speakers in the monitors. At that location the volume controls remain active and they control the internal speaker in the laptop as they should. It's because Apple computers don't support CEC (Consumer Electronics Control). Basically, macOS doesn't allow you to control end devices attached via HDMI or DisplayPort. Changing the volume would be considered "controlling the device"
build in to your OS X.
try it, you will like it ! It will allow you to have simultaneous output to multiple devices. I could not test it for your set up so let me know if it worked. Not the answer you're looking for? Browse other questions tagged displayport sound-volume .